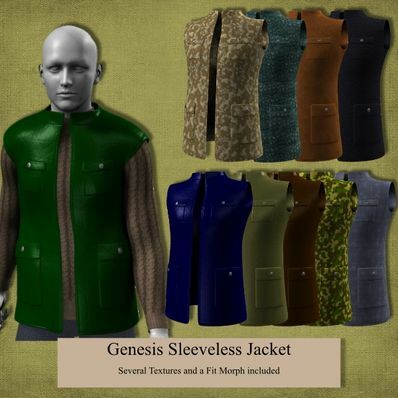 A Sleeveless Jacket for Genesis for use in Daz Studio 4. Several textures for the Jacket. Waist Fit morph included. like a lot these sleeveless jackets, thanks! !